A research firm says Apple Watch sales are dropping off a cliff. Apple's CEO disagrees. After a research firm estimated that Apple Watch sales were down 71 percent year-over-year, Apple CEO Tim Cook is speaking out. The gist: Um, actually the Apple Watch is doing just fine. In a statement to Reuters, Cook refuted IDC’s report of declining Apple Watch sales—sort of. Sell-through is how many watches were actually sold, which is different from how many were shipped to retailers. 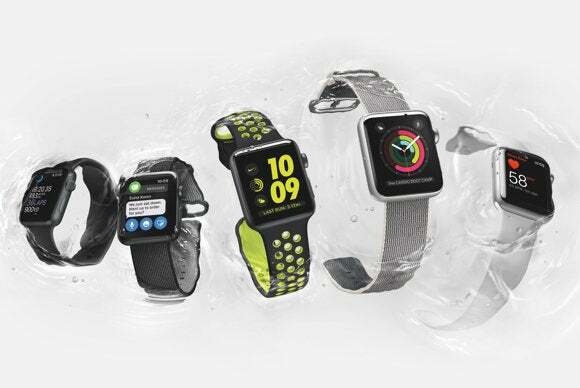 IDC estimated that Apple sold 1.1 million watches in the third quarter of 2016, a time frame that included two weeks of Apple Watch Series 2 availability. It’s still the leading smartwatch, but other wearables like Fitbit’s activity trackers beat the Apple Watch by a mile. Apple doesn’t break out Apple Watch sales figures in its earnings reports—it’s in an “other” product category that also includes the Apple TV—and Cook didn’t release specific numbers in his statement to Reuters, so IDC could be right about the device’s third-quarter performance. But Cook would have a more complete picture than the research firm, given that the Series 2 and Series 1 reboots have been available to buy for 3 months now. Potential buyers were likely waiting to order a device until the second-gen model was released, and even then many models were sold out for weeks following the launch. The holiday quarter is also likely to be the strongest in terms of Apple Watch sales, because the gadget is a more giftable (read: more affordable) option than an iPhone or MacBook. But we likely won’t find out exactly how many watches Apple has sold, unless the company decides to release that information.